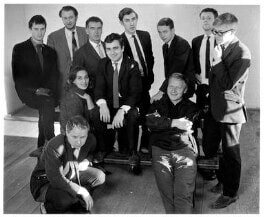 The Establishment was a London nightclub which opened in October 1961, at 18 Greek Street, Soho and which became known in retrospect for satire although at the time was a venue more commonly booking jazz acts and used for other events. It was founded by Peter Cook and Nicholas Luard, both of whom were also important in the history of the magazine Private Eye. The name "The Establishment" is a play on the meaning of "establishment" as in "institution," i.e. the club itself, and the broader definition meaning the prevailing social order of the time, which the satirists who founded, funded and performed at the club typically undermined. A pun is sugested as, to be a member of this club, was to literally but not figuratively be a 'member of the establishment'. Peter Cook called it "the only good title I ever came up with." 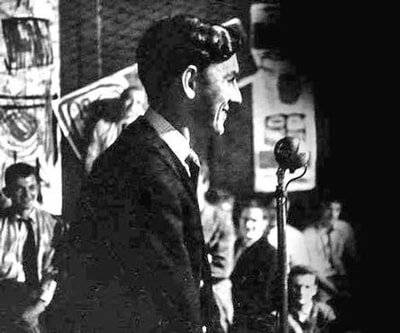 The opening of The Establishment Club in October 1961 fulfilled a Peter Cook dream he'd had since university. 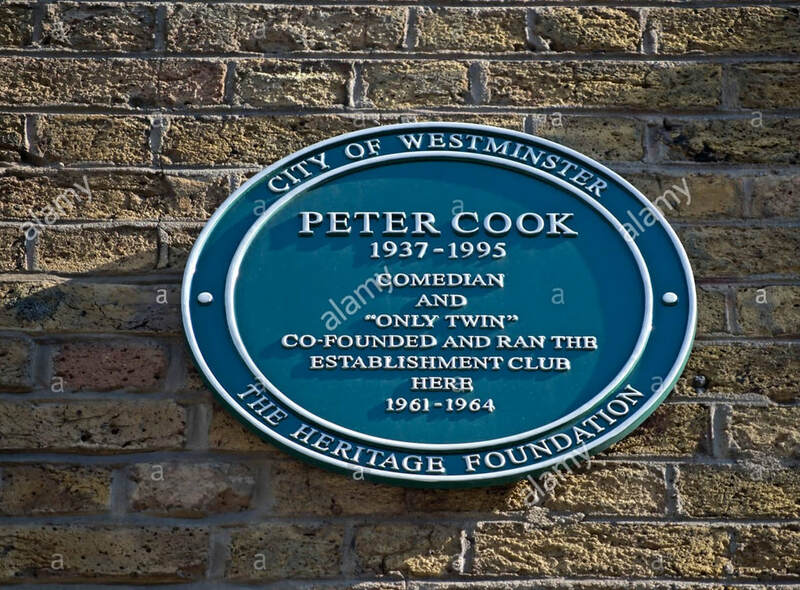 A space for his satirical brilliance.... Just the anticipation of the club opening pre sold membership enough to ensure a profit on opening night. Apparently the queue of members trying to get in stretched well down the street when the club was full! Famous faces adorned the audience (Harold Macmillan the Prime Minister) often to receive insults from Peter. 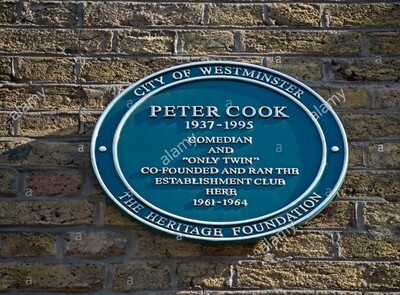 In September 1962 Peter Cook sailed away to New York and Broadway success. The club was never the same.